First of all, you must understand what is ECU in general on both motorcycles and cars are for and think about it again if you really need to do this on your bike? The Engine Control Unit (ECU) learns” about your engine as you ride or drive your machine. The “learning” is actually a process that the ECU uses to track the tolerance changes of the sensors and actuators on the engine. *This is just a sample picture of ECU that I found online. 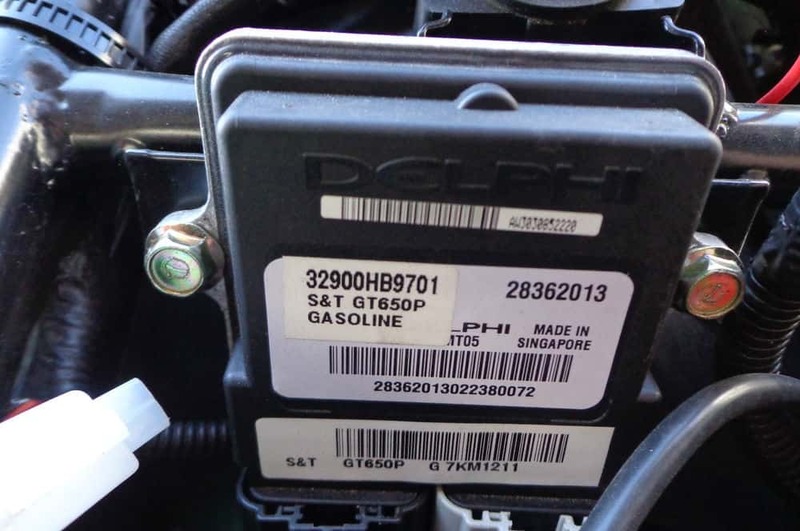 However, Hyosung’s stock ECU neither stores codes after the ignition key is turned off nor does it have a memory for storing any mythical learning. It has a pre-programed set of parameters and based on the sensor inputs adjusts the fuel injector opening times accordingly. It will NOT learn anything but the base map settings can be reset if it’s necessary. Note: Information below credited to Technomotive. The ECU is always tracking the engine’s sensors and actuators when the ignition is switched ON. Resetting the ECU does not cause the ECU to learn engine changes any faster. The ECU is always tracking the gradual changes in the engine sensors and actuators. The ECU never gets satisfied with a setting, and is always updating the trim values. It will discover whatever change you made to your engine and make the appropriate changes when you’re riding. There are only two reasons why you would want to reset your ECU. One is to clear a CHECK ENGINE error code after fixing the problem that caused the error. The other is to reset the spark advance trim value. The advance trim controls how much the timing is retarded from what the factory engineers considered optimum. I’m not sure if this applies to a Hyosung machine but it was shared over a coffee session from my friend. I reset the ECU, and now the bike runs rough! Why? The engine may run rough or idle poorly right after ECU reset. The ECU now has default numbers in its base settings – it has to adjust them to match the tune of your engine and its sensors and actuators. You will need to ride your machine for quite sometime before the engine will settle down again. Disclaimer: Do it at your own risk. I am not responsible for any damage caused by this action. 1. Turn OFF the engine, and unplugged the ECU from your bike. (Also ensure to turn “OFF” the ignition switch, or electronic parts may get damaged). 2. Remove the -ve and +ve wires from the battery terminal respectively and leave it for 10-15 minutes (some says only -ve would do ) Well, you decide? Note: I can’t stress enough, removing any battery terminal of a running engine is strictly prohibited. The moment such removal is made, damaging counter electromotive force will be applied to the ECU which may result in serious damage. On another note, never connect an ohmmeter to the ECU with its coupler connected. If attempted, damage to ECU or sensors may result. 3. Plug the ECU back to your bike, reconnect the wires to the battery terminal. 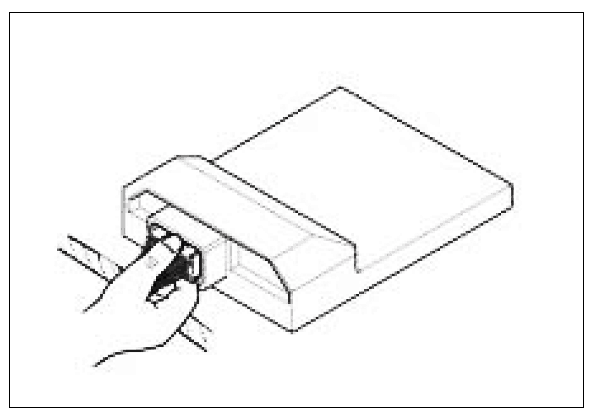 It is also advisable to measure voltage using a voltmeter at each terminal. check to make sure that battery voltage is 11 V or higher. Terminal voltage check at low battery voltage will lead to erroneous diagnosis. 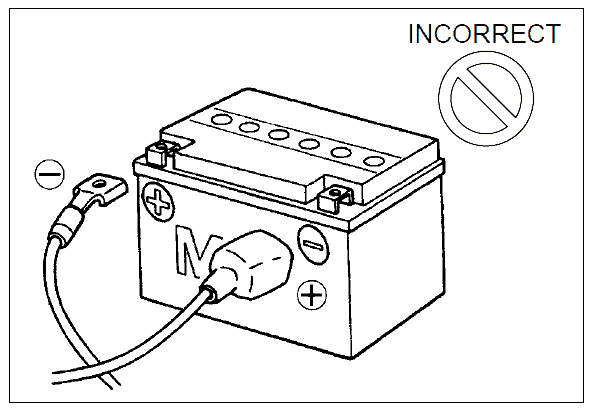 Note: Battery connection in reverse polarity is strictly prohibited. Such a wrong connection will damage the components of the FI system instantly when reverse power is applied. 3. Once you’re done with the 15 minutes idle running, turn OFF the engine and leave it for another 10 minutes. 4.Finally, turn back the engine ON, ride your bike in a traffic for a day or two (If you plan to ride in traffic often) or Rev your bike on a highway in high RPM whenever you switch gears (If you plan to ride on long distance often) and eventually your bike will accustomed to the way you ride. In my personal opinion, I’ll never reset the ECU settings unless I have issues with the engine. i.e. There is a error(s) code detected etc.